This chapter discusses concepts and theories of legitimacy and the English-language literature on the subject of legitimacy in China. The first part discusses Western theories of legitimacy — including normative legitimacy, empirical legitimacy, and critical legitimacy — and their limits in analyzing the case of China. The second part of this chapter reviews regime legitimacy in China from the Western perspective. 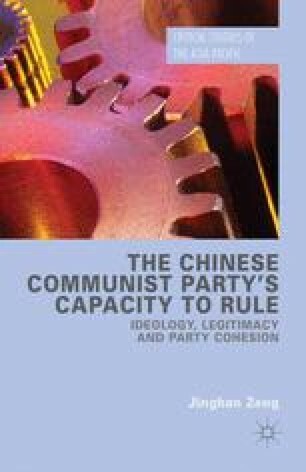 It shows that ideology is a crucial topic that does not receive sufficient attention from the English-language literature on the subject of regime legitimacy in China.